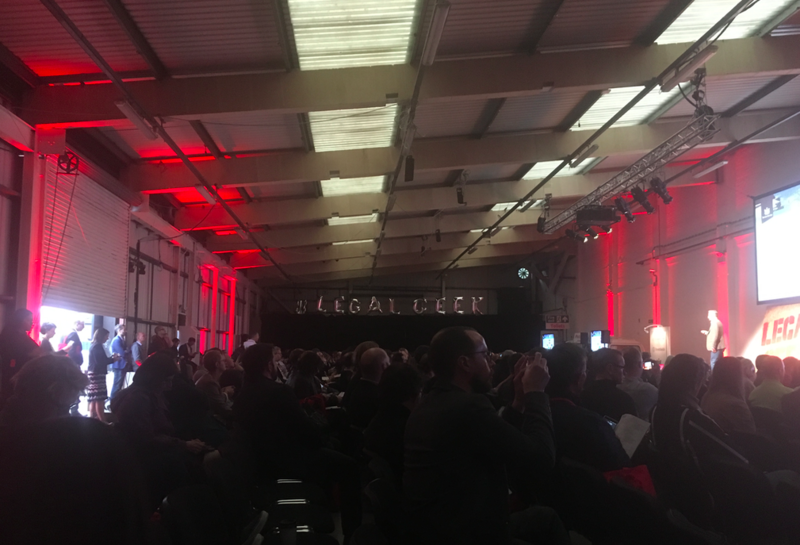 If you missed this year’s Legal Geek in London this Tuesday (17 Oct), then you can at least get ready to buy your tickets for next year. 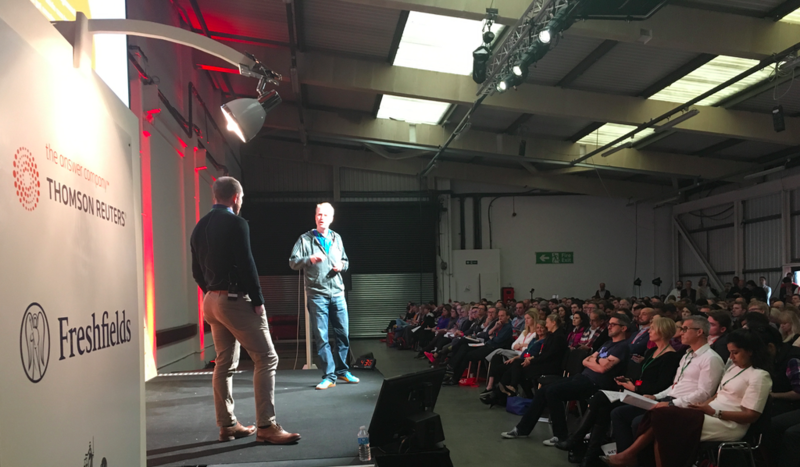 For those who attended….wow….what a great event. Artificial Lawyer would like to say that every word uttered by every speaker has been carefully noted and written down for you to consider. But….it hasn’t. There were some bits and bobs of news (see below), but aside from the many great speakers such as legal sector guru Mark Cohen, to NextlawLab’s Dan Jansen, to Reed Smith’s Innovation Manager Alex Smith, there were just so many people to talk to, to learn from, to catch up with that very little note-taking took place. In fact: none. 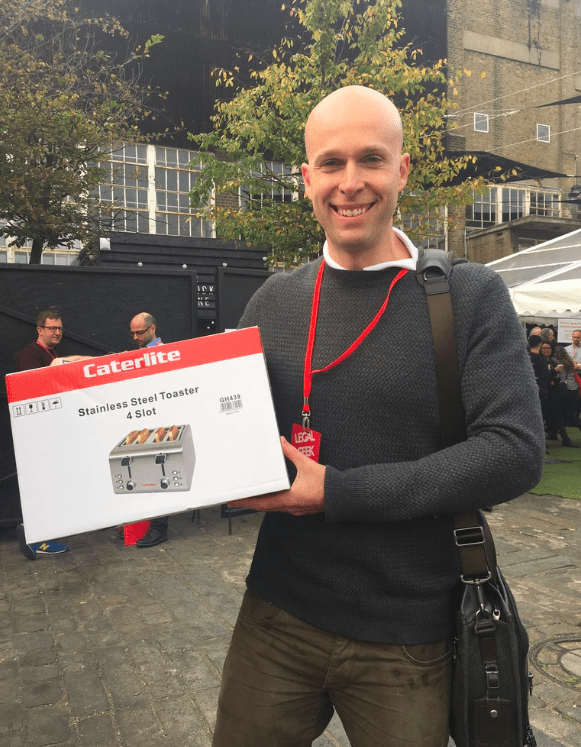 Networking at Legal Geek is just too much fun. 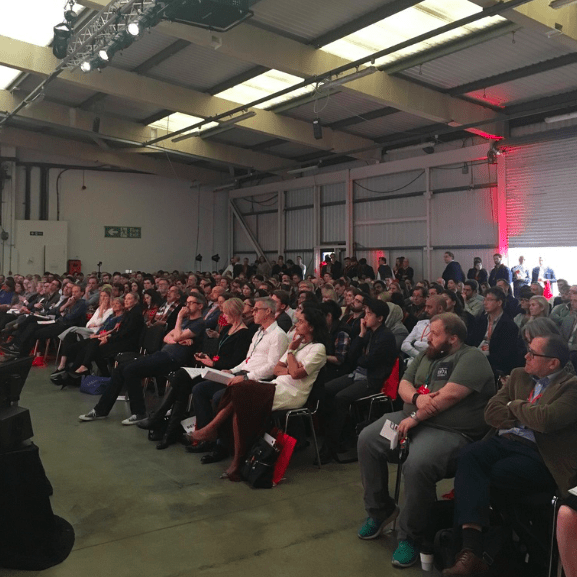 So, the truth is, instead of writing up the event, Artificial Lawyer is presenting you with some pictures of some of the attendees, some who spoke on stage and others who just helped to make the day the brilliant event it was. 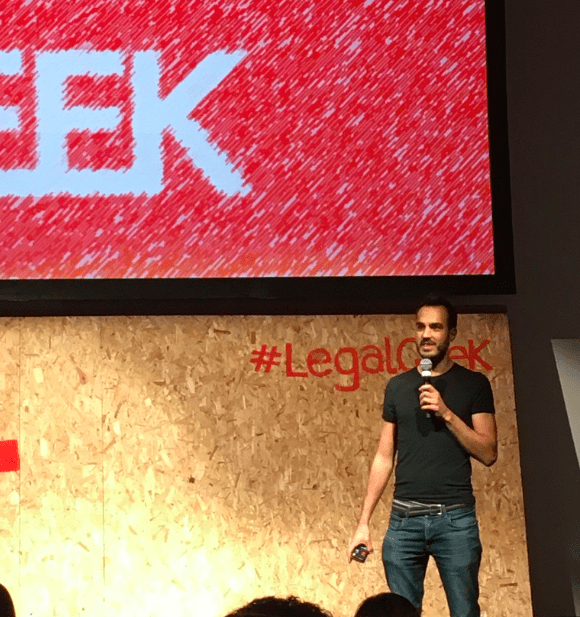 But, first of all, a big thanks has to be said to Jimmy Vestbirk, who founded Legal Geek and has grown it into something far more than an event, it’s probably not an exaggeration to say it felt something of a home-coming to many of the people who attended from all over the world. One analogy that came to mind was it was like a huge wedding party, with far flung friends and relatives all coming together. Though in this case the bride and groom were law and technology. 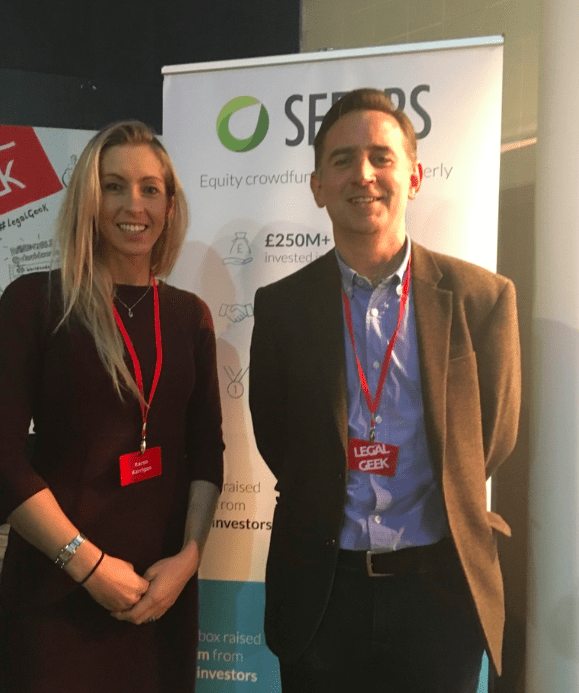 And of course, the news: the Law Society has teamed up with crowdfunding group Seedrs, to help lawyers to come together to invest in legal tech start-ups they’d like to back. 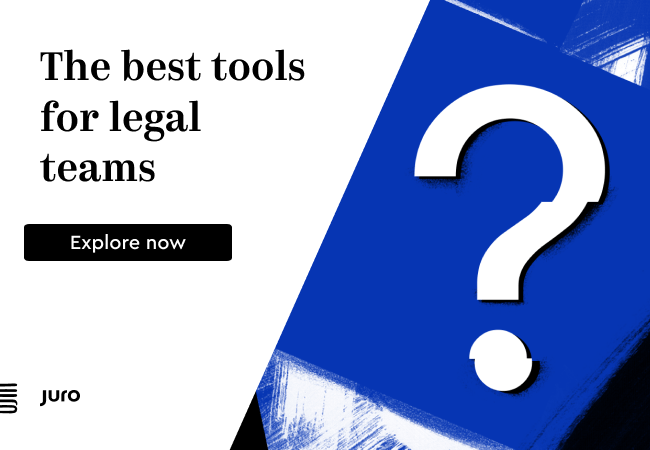 The Law Society apparently won’t be investing in its own name, instead it will encourage its members, the good solicitors of England & Wales, to work with Seedrs to fund those legal tech ideas they’d most like to see. Sounds interesting. There now follows a selection of photos, without any particular order, but which hopefully gives an idea of who attended and how much fun was had. Can’t wait until next year! 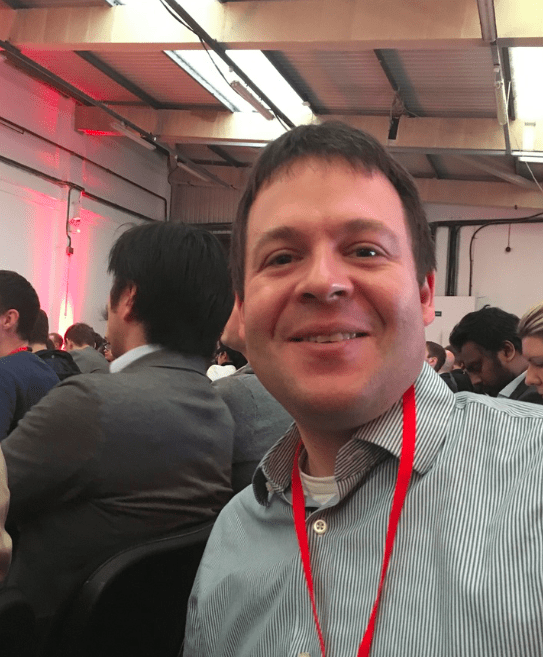 Bruce Braude, Head of Strategic Client Technology, BLP LLP getting ready to hear the opening session. 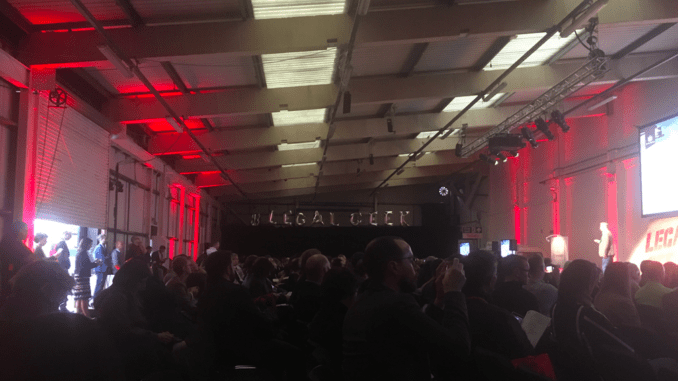 A packed main stage area ahead of the session on legal tech, introduced by Artificial Lawyer via a little talk about where legal AI is today. 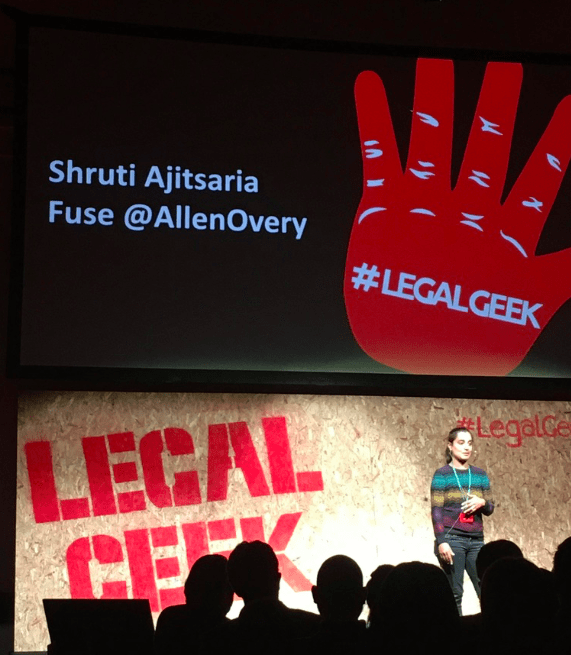 Allen & Overy’s Shruti Ajitsaria talking about her journey toward helping to run the global law firm’s tech incubator, Fuse. 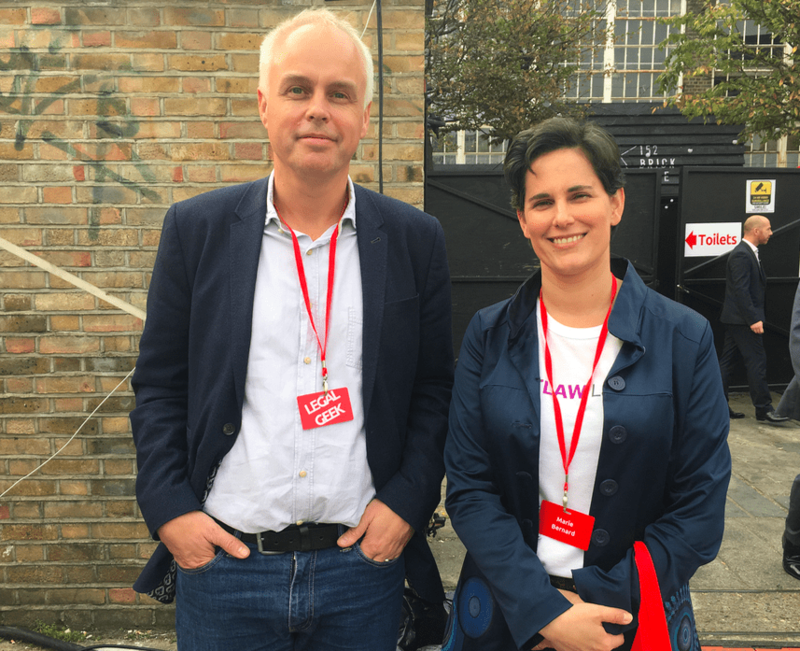 Peter Nussey, Law Society, and Karren Kerrigan of Seedrs crowdfunding group. 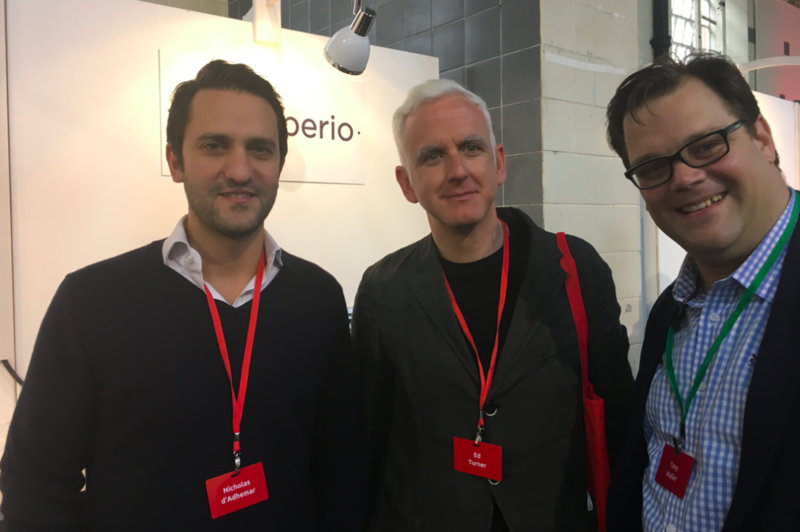 Nicholas d’Adhemar, CEO, Apperio; Ed Turner, Managing Partner, Taylor Vinters; and Tony Waller, Partner, CMS. 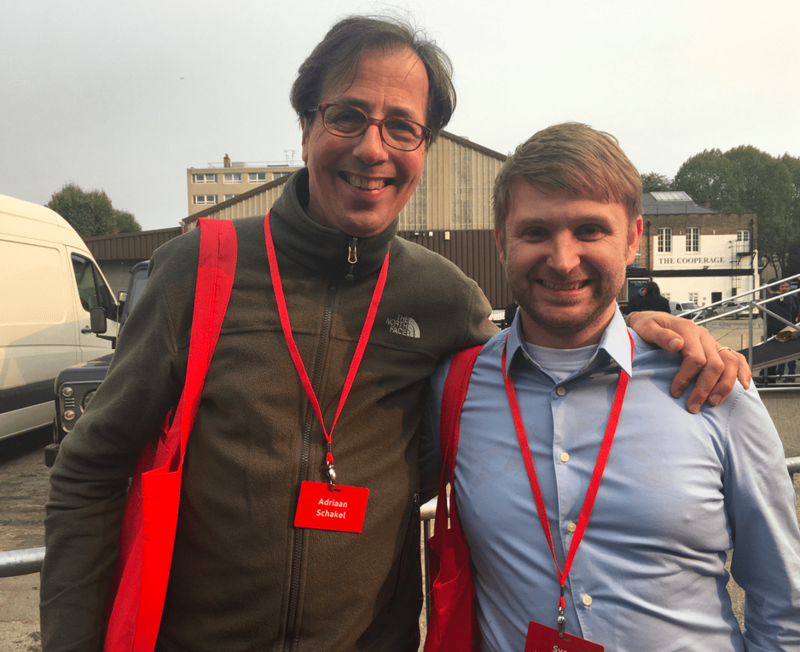 Sven von Alemann,CEO of German legal AI company, RFRNZ, with Adriaan Schakel, Chief Data Scientist. 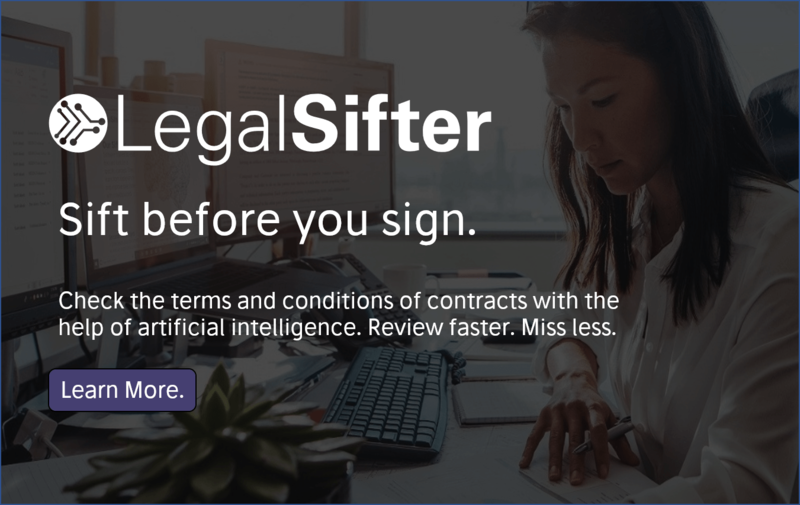 Great to see a new German legal AI pioneer! 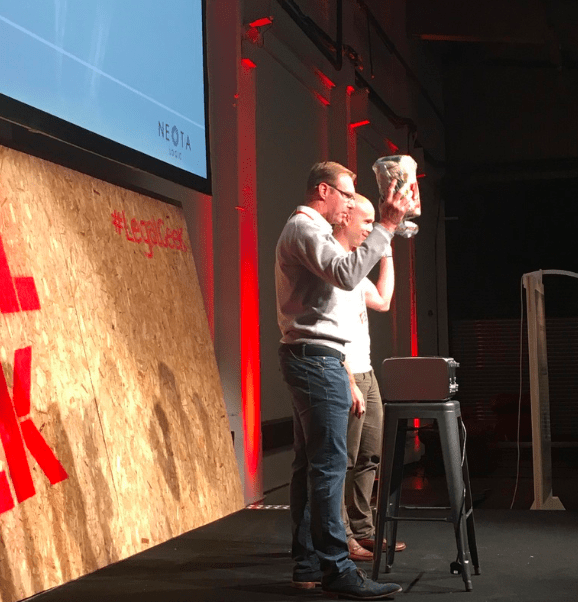 Noah Waisberg, CEO, Kira Systems and Greg Wildisen, International Director, Neota Logic, telling the audience about: toasters, avocados, bricolage and how it all connects to legal AI. Peter Wallqvist, VP Strategy iManage, and Robert Florendine, also of iManage, talking about legal AI.